Human family phylogenetic Y Tree. 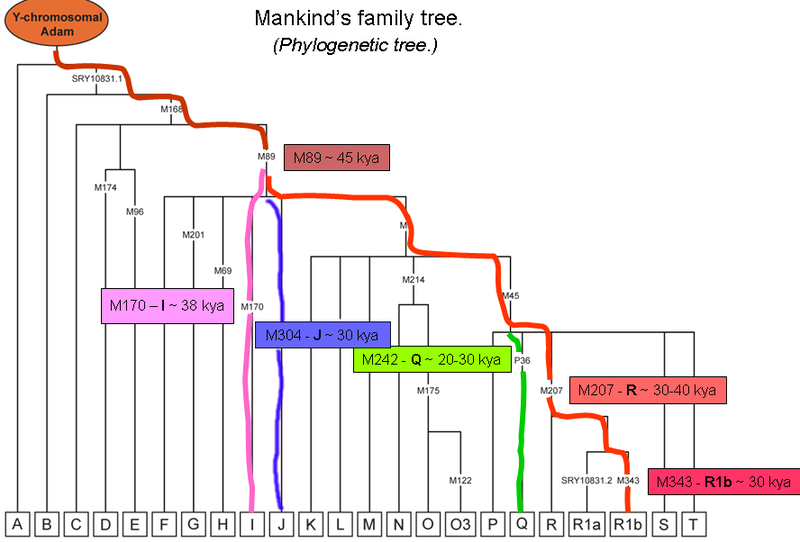 The Human family Y-SNP phylogenetic tree. Ancient Origins of our Haplogroups. I2b1 Modern-day Germany and eastern Sweden. J2a4b1 The Nakh and Chechens of the modern-day Caucasus region. Q1a3a1 North American Southwest and Mexico. R1b1a2 France, Netherlands, British Isles (England, Ireland, Scotland, etc. ).